I didn’t think of the name . . . but it fits! Darn good, Really good, awesome or not half bad just wouldn’t cut it. 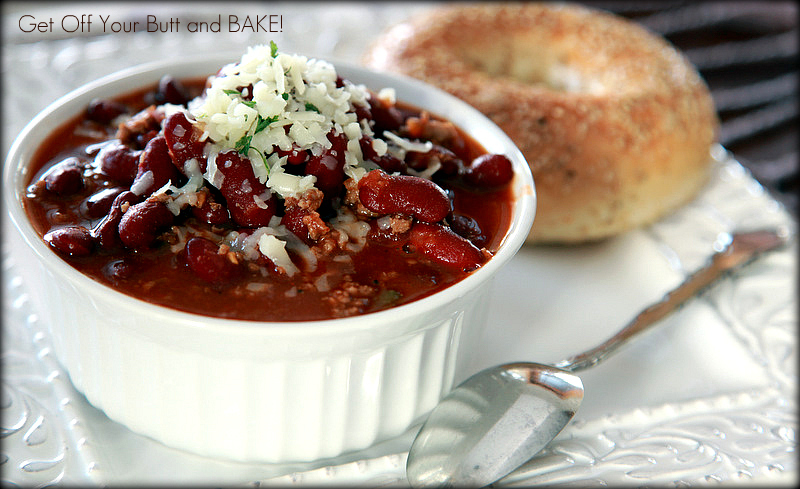 Just make it, and you’ll say: “Gee that’s Dam Good Chili! It’s not too hot or too spicy, and the Salsa gives it a good kick. I used a bottle of the Salsa I made over the summer, and it’s just mild. 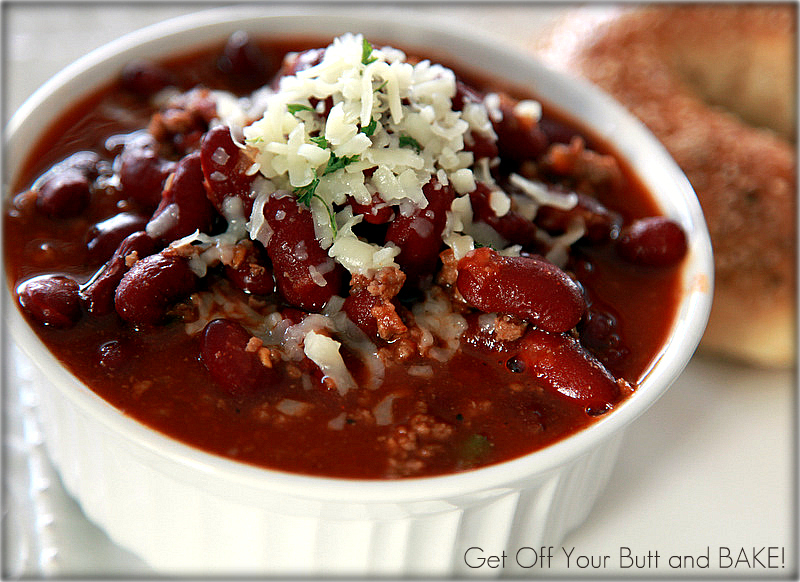 If you want hotter Chili, simply add Hotter Salsa, and toss in some Cayenne Pepper! That will do the trick. Gone are the days of soaking Chili Beans. I much prefer the (undrained) red Kidney beans instead. I also added 1/4 cup of Brown Sugar to the pot . . . it adds a nice flavor. You can make this in minutes, and serve it with a tossed green salad and some toasted Cheesy Garlic Bread. I used Mozzarella cheese on top today, but cheddar is my favorite. Beans are very good for you, even though they might not do good things to you! It’s brrrr COLD in Idaho, and warm soup sure tastes good. In a large saucepan over medium heat, combine the ground beef and the onion and saute for 10 minutes, or until meat is browned and onion is tender. Drain grease well. Notes: I used 2 cans of dark red kidney beans (undrained). I chopped the onion very finely, but you could also use Onion Powder instead. I also added 1/4 cup of Brown Sugar as well. Very good Chili! Top with grated cheddar or mozzarella cheese, and serve with Garlic Toast or toasted Bagels. You are the sweetest. I think you are totally amazing!!! I think I used Albertson’s brand, but I’ve used others with success. Add just a small amount in the beginning. You can always add more, but can’t take away!